Glass recycling is very labour demanding. More hands absolutely make the task easier and more effective. We urgently need Collectors and Volunteer Helpers! And this job will provide you satisfaction and joy! If you have the passion in conserving natural resources for the planet, and have one hour or more to collect glass bottles at Soho and Wanchai between 6:30-11:00am on Thursday and/or Saturday, please join in our glass recycling team. 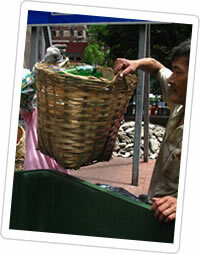 I live in a compound in Tai Po and were recently looking for a place where to recycle our glass bottles. Unfortunately here is no. Is it possible to place a bottle bin in our compound and what do we have to do for it, where to apply etc? 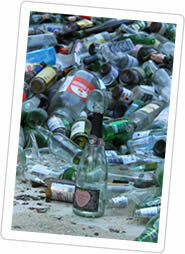 In this compound and in many more I think are living a lot of Europeans, who know glass recycling from home. Especially in Germany it’s a very big thing and a whole industry. Please write back, if there is any possibility to establish a few glass container here. I’m a high school student and an avid environmentalist. I was wondering whether (and how) I could help regularly every Saturday in Soho, perhaps starting early July 2013? Im in middle school and I have this project called the compassion project, and I was wondering if I could volunteer. I can help on september to december, on saturdays or sundays.